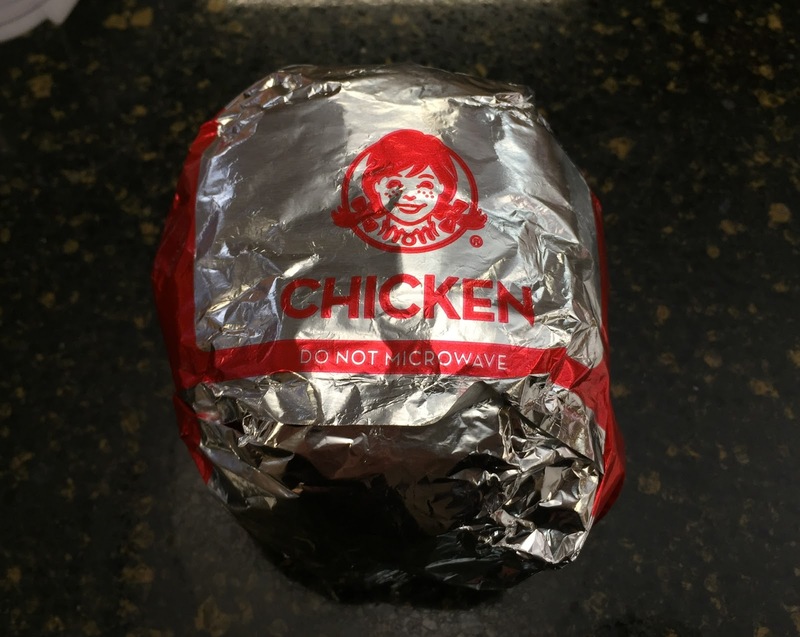 Wendy's updated its Grilled Chicken Sandwich in September, 2016, and they now use a new bun and a juicy chicken fillet. 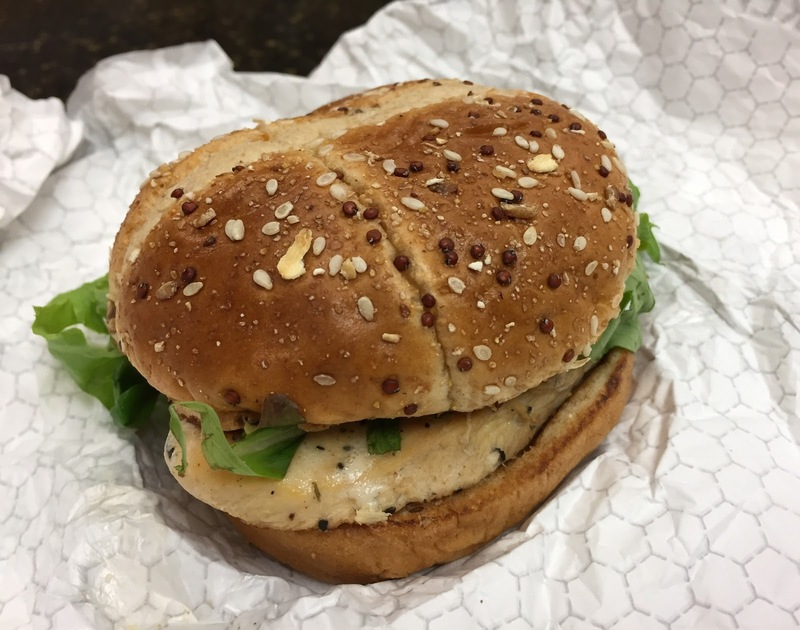 I didn't have the old version so that I can't really compare how the sandwich has been improved, but I was always curious about this non-fried chicken sandwich. 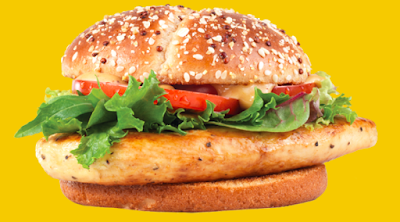 Between multigrain bun, there're a chicken breast fillet that was marinated in herbs, spring mix and tomato, and the sauce is smokey honey mustard. I don't like honey mustard so that I ordered it without sauce. 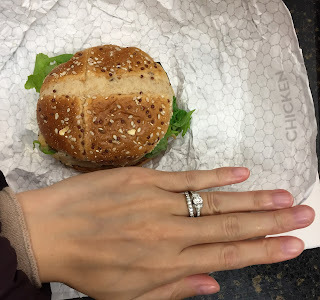 The sandwich was 10cm (3.93 inch) or so, and it's not that big. As I asked for no honey mustard, there're only a slice of tomato and greens. 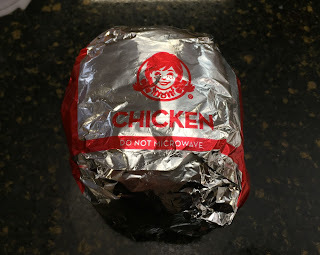 The bun was toasted but it's kept on the rack till they gave it to me after it's wrapped in a paper, and the bun was softened by the moisture and no longer had crispiness. The bun had popping textures from the multigrain, and the herb-marinated chicken fillet had refreshing herb scent with subtle citric acid flavor. As it's not a reformed piece but rather a whole fillet, it had medium firm texture and the inside was juicy and moist. 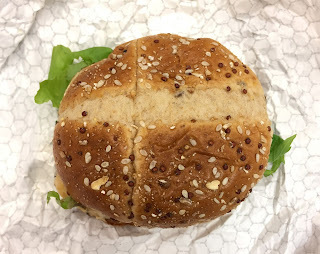 I liked the bite but the herb was a bit too strong and I wish it's just seasoned with salt and pepper.